Come and support this Candelaria Hospital Fundraiser with all the family on the 30th of September at the Irish Oak. 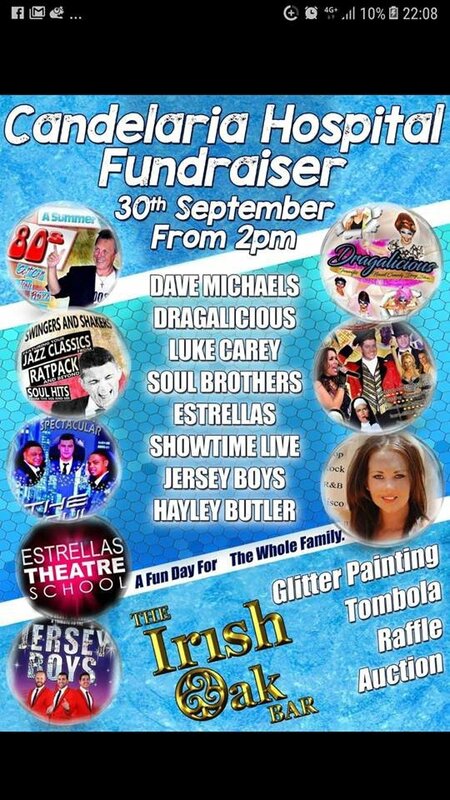 Local acts such as Dave Michaels, Dragalicious, Luke Carey, the Soul Brothers, Estrellas, Showtime Live, Jersey Boys and Hayley Butler will all be appearing. There'll also be auctions, raffles, face painting and lots of other fun for all ages.